Forres Mechanicals v Inverurie Loco Works - a game to conjure in the mind as the results are being read out on the radio. 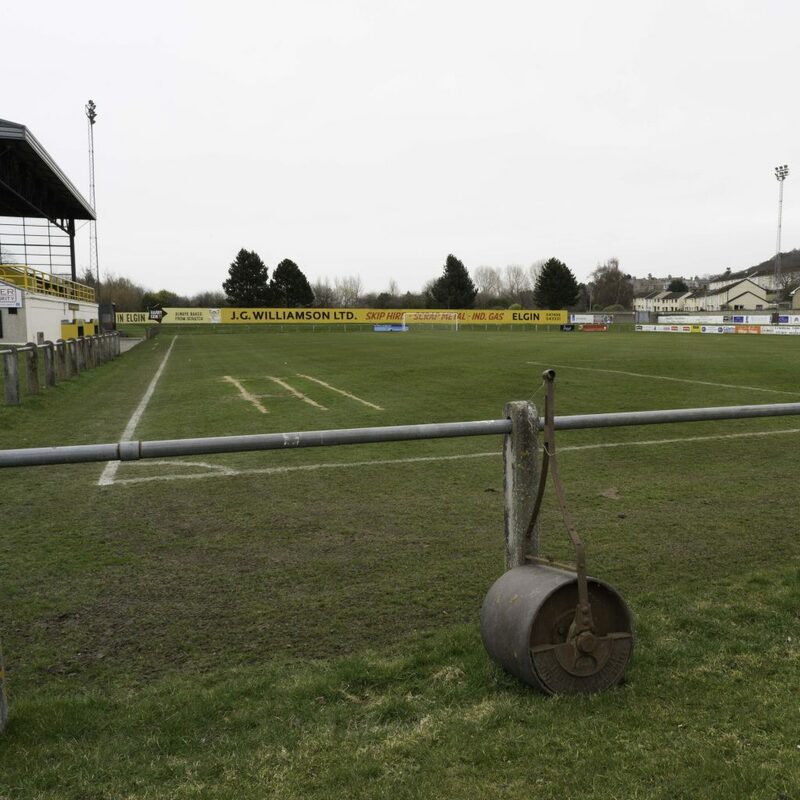 I had a rare chance to visit a Highland League game, but missed the mid-week game a 2 nil home win against a team above them in the league, due to my own football injury. A broken rib suffered earlier in the week as 'I took one for the team' in the last minute of a game meant that I missed out. The following day I managed to stand for a few minutes at one corner of the ground and took the two photographs, the roller tied to the barriers and my other entry. It would have been great to celebrate the home win in the advertised pub, the sign strategically positioned next to the gents.